During her 110 years, Maude went from a 400-lb. wood-burning stove to a microwave oven, from an outdoor privy to indoor plumbing. She got the vote in 1920 and voted in the next 18 Presidential elections. With poetry and human dramas (two murders and a suicide), written by a master journalist, the book shows the impact of the changing times on shy, unassuming Maude, her fun-loving husband Lee, and their four active children. They farmed 100-acres on the banks of Rush Creek in Logan County (Ohio). 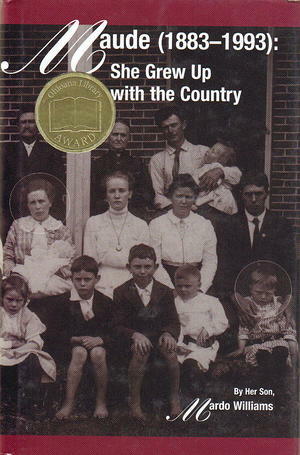 Maude is a favorite with book discussion groups and is being used as a supplemental text (to "put a human face on history") in college American history classes. conveniences we take for granted today. He won an Ohioana Library Award in 2001 (posthumously) for his unique and outstanding lifelong literary contributions as author and journalist.